The World Trade Organization (WTO) is one of the most important international organizations in existence today. It contains a set of disciplines that affect the ability of governments to impose trade restrictions, and has helped to support the steady expansion of international trade since the 1950s. The WTO has been the focus of vociferous protests by anti-globalization activists and has experienced great difficulties in agreeing to new trade rules since its establishment. At the same time it has become the premier global forum for the settlement of trade disputes and has proven to provide a robust framework for international cooperation in the trade area. 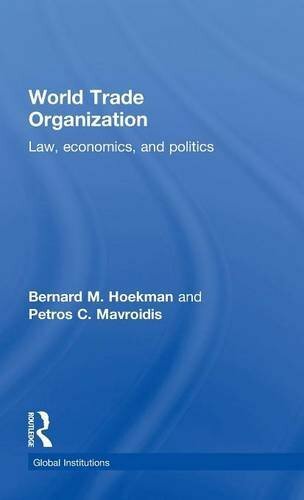 This book separates the facts from the propaganda and provides an accessible overview of the WTOÃ¢ÂÂs history, structure and policies as well as a discussion of the future of the organization. It also confronts the criticisms of the WTO and assesses their validity. Fully updated throughout, this book continues to be essential reading for students of international trade, international political economy, commercial law and international organizations as well as activists and others interested in a balanced account of a key global institution.